These codenames belong to the eight generation of Core CPUs which follow on from Kaby Lake and Skylake, although while they still share the 1151 pin socket design, due to the variety of optimisations to Coffee Lake CPUs they will not be compatible with older chipsets. Instead these processors will require Socket 1151 motherboards bearing the 300-series nomenclature. 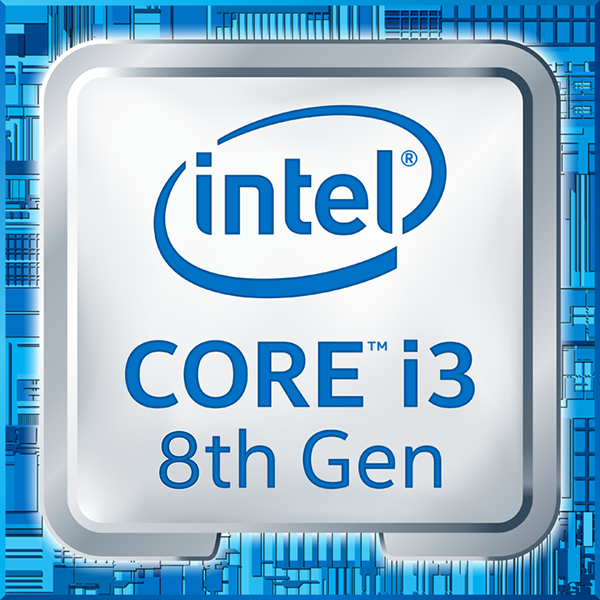 The Intel Core i3 processors from the Coffee Lake generation offer four CPU cores, high clock frequencies and new Turbo Boost features – all with a mere 91 Watt TDP! The Intel Core i3-8350K offers an unlocked multiplier and this allows it to be overclocked. Yet even without overclocking the Core i3-8350K offers a high clock frequency of 4,0 GHz which ensures plenty of power in games and applications. The L3 Cache has been expanded to 8 Megabytes and the Thermal Design Power (TDP) sits at 91 Watts. An essential difference when compared to the Skylake and Kaby Lake generations is the fact that Coffee Lake is designed only for use with the fast and efficient DDR4 RAM. The quad-core processors support a maximum clock rate of 2.400 MHz, while the hexa-core processors support a maximum standard frequency of 2.666 MHz. The LGA 1151 socket from Intel is retained, but it is essential to ensure that a motherboard with 300 series chipset is used, otherwise the processor could be damaged due to the differences in the power supplied to the chip. Compared directly to the 200- series, the 300- series comes with an optimised power supply for the entire CPU, thereby allowing improvements in overclocking. The integrated GPU has also been optimised in terms of frequencies and drivers and has been named the Intel HD Graphics UHD 630. With its 24 Execution Units it offers more than enough graphical power for Intel Quick Sync, GPU Computing and of course a game or two in between. Furthermore it supports DirectX 12 with Feature-Level 12_1, OpenGL 4.5 and OpenCL 2.0 as well as 4K playback, UHD resolutions at 60 Hz via Displayport – however this requires a compatible motherboard..